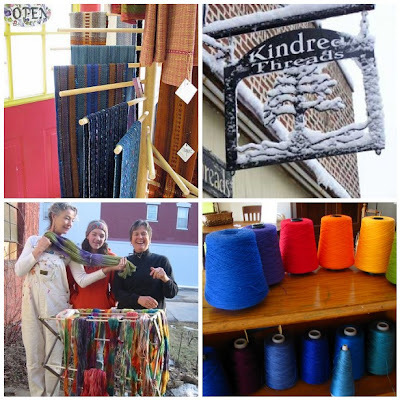 Our cooperative fibers arts studio has been here in our small town of Viroqua, WI for the last couple of years. And although some members have come and gone, we have continued to enjoy the camaraderie and inspiration that our shared studio space provides. 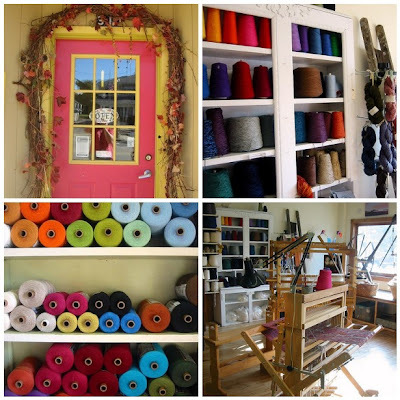 We have greatly enjoyed opening our studio on the 2nd monday gatherings, to fellow weavers and fiber fanatics. Sadly, unless we find a few new members we will be closing our doors mid June. I have somewhat mixed feelings. 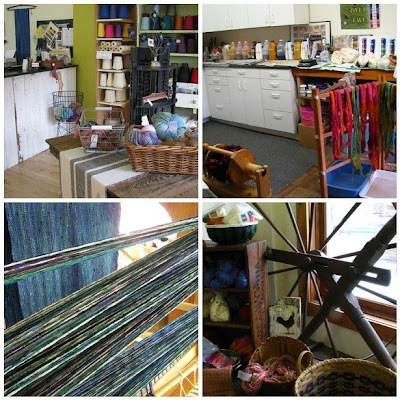 I have invested a lot of myself into this space, from the three beginning years as a knitting shop and the last couple as our combined studio. I know every ding in the floor that I helped unbury from moldy carpet, tiles and tar; we certainly gave this space a new life, and it has served us well. So although I hope that we do find a few new artists to share our space, I am also ready to cut back on expenses for my business and simplify my life by taking my business home. However my husband is living in fear of how I am going to squeeze 3 looms and a shop full of fiber into our not that big home. I predict he will be hiding out in the kids treehouse till the dust settles. This shop has been such a vital part of my being for the last 5 years that I am sure its absence will be missed. But as all things happen, when one door closes, another often opens. And I am excited for that possibility. So we shall see. I ‘ll really miss coming to visit on those Mondays. So sad to read of this situation. Wish I was close by to visit, I love the pictures of your shop. Looks so inviting! Could artists in other medium apply? I have my studio in my home, and sometimes wish for more space. Not having more space forces me to prioritize and be craftier in using the space! Space the last frontier!!!! I am pulling for you out there!